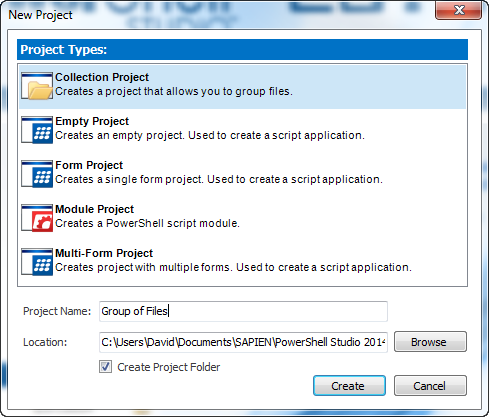 In PowerShell Studio 2014, we introduced a new Collection Project. The Collection Project allows you to keep track of a group of files, which typically consists of (but not limited) to ps1 script files. For example, you may have various ps1 scripts that dot source each other. 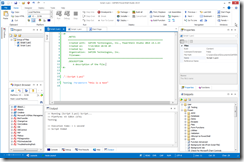 Now you can create a Collection Project and enjoy the benefits being able to manage multiple files, PrimalSense support for dot source files and apply rename refactoring on all your files. 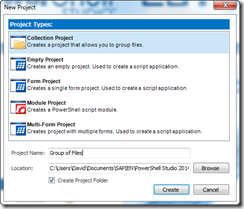 When you first create a Collection Project, you will notice there is no Startup.pss file. There is no entry point in the project since these are individual files. 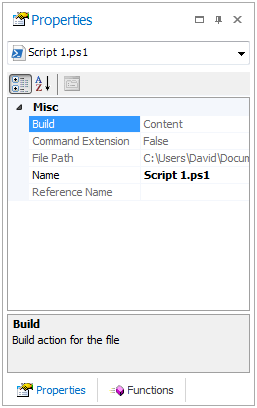 All files within the project are considered ‘Content’. 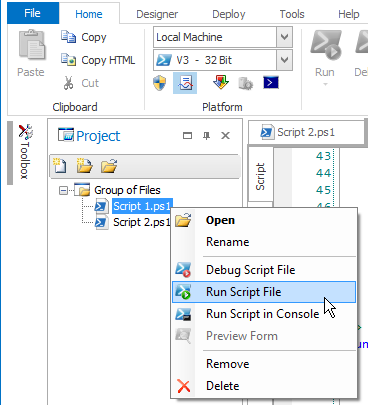 You can run each file individually using the Project’s context menu or using the usual Run Ribbon buttons (v4.1.64 and up). 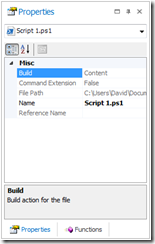 Deployment is handled on a project basis, you can deploy all the project files to a single destination or create an install that includes all the project files. The project’s packaging is restricted because these are all individual files. 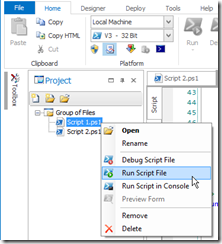 The new Collection Project allows you to group and deploy independent script files in an organized manner. 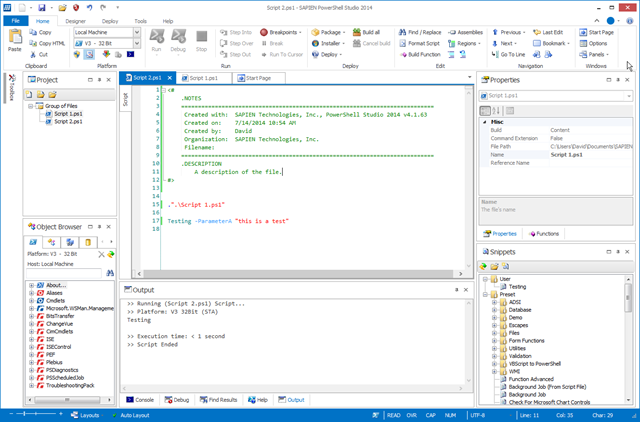 powershell, PowerShell Studio 2014, projects.